The Marlborough Science Academy is committed to serving its community, recognising the multi-cultural, multi-faith and ever-changing nature of the United Kingdom. Staff understand the vital role they have in ensuring that groups or individuals within the school are not subjected to intimidation by those wishing to unduly or illegally influence them. This follows equal opportunities guidance which guarantees that there will be no discrimination against any individual or group, regardless of faith, ethnicity, gender, sexuality, political or financial status, or similar. 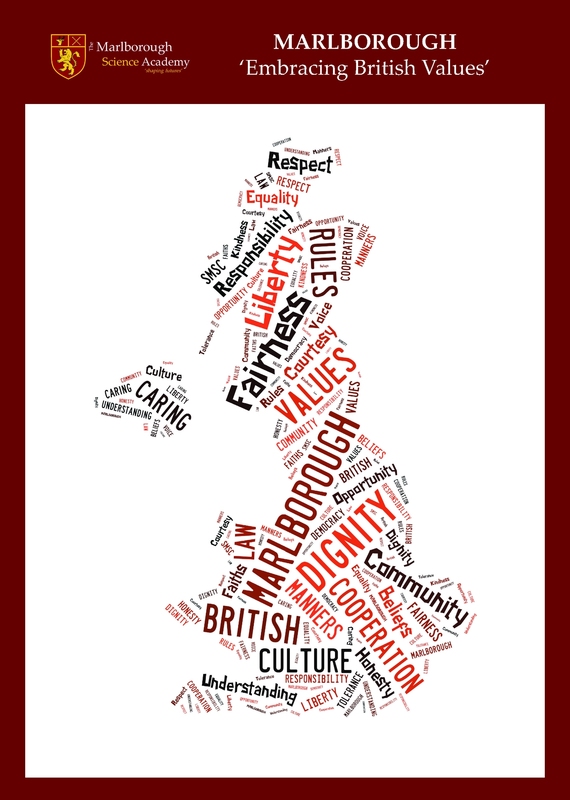 Marlborough is dedicated to preparing our students for their adult life beyond the formal, examined curriculum and ensuring that we promote British values to all of our students. Democracy underpins everything we do within the school and our students play a central role in all of our systems; their voices heard through our Student Council, questionnaires and This Week It’s Me weekly meetings. Furthermore the elections of House and Form Captains are based solely on student votes. The importance of laws, by the enforcement of rules, is present in our everyday school life, whether they be those that govern the class, the school, or the country. They are consistently reinforced throughout the school day, as well as when dealing with behaviour and through school assemblies. Students are taught the value and reasons behind laws: that they govern and protect us, the responsibilities that this involves and the consequences when rules are broken. Visits from authorities (all DBS checked) form a regular part of our calendar and help reinforce this message. Within school, students are actively encouraged to make choices, knowing that they are in a safe and supportive environment. As a school we educate and provide boundaries for young students to make choices safely, through the provision of a safe environment and empowering education. 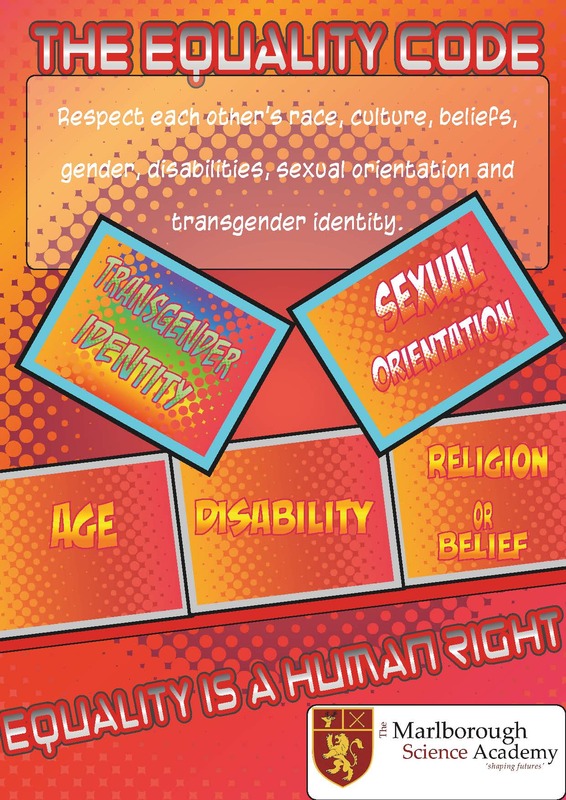 Students are encouraged to know, understand and exercise their rights and personal freedoms and given advice on how to exercise these safely, for example through our E-Safety and PSHCEE lessons. Whether it is through choice of challenge, of how they record information or of participation in our numerous extra-curricular clubs and opportunities, students are given the freedom to make choices. Part of our school ethos and behaviour policy has revolved around core values such as ‘Respect’, and students have been part of these discussions and assemblies related to what this means and how it is shown. Posters around the school promote respect for others and this is reiterated through our behaviour charter, as well as our behaviour policy. This is achieved through enhancing students understanding of their place in a culturally diverse society and by giving them opportunities to experience such diversity. Assemblies and discussions involving prejudices and prejudice-based bullying have been followed and supported by learning in RE and PSHCEE. All students are regularly asked if they feel safe at school. For more information about how the school seeks to promote key British values, contact a member of the School Leadership Team who will be happy to provide further information. Twice a week in form time our students complete their reflection books. This give them time to consider and reflect on various different subjects and events that take place. It allows them to express their options and test their knowledge about these subjects. All of our staff all use an SMSC grid to log how SMSC and British Values are included and taught in our lessons and events at school. This will take you to the main page where you will see a large grid with all the subjects on the left hand side and all the added information in the small boxes. 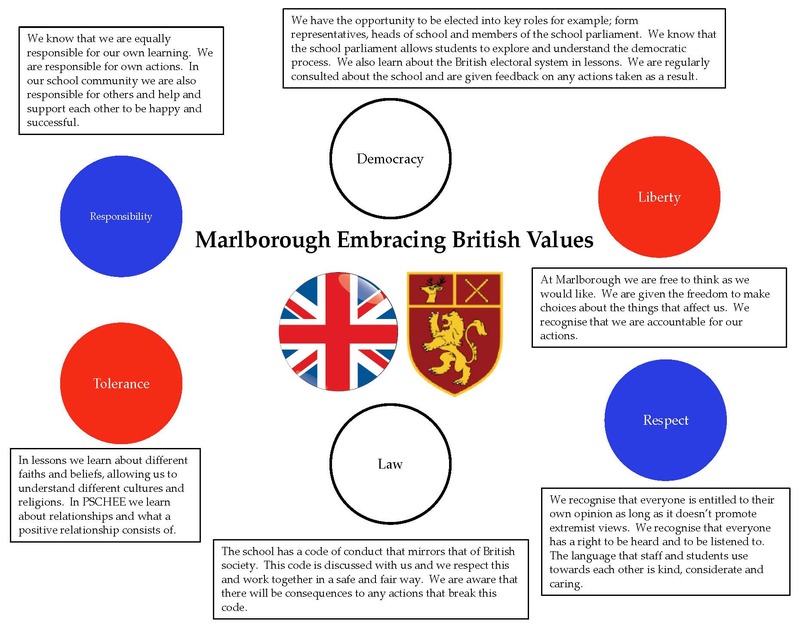 If you roll you cursor over the small square boxes you will be able to see a sample of how SMSC and British values are included in lessons. Some of the examples will include photos, examples of work or lessons plans. Click on the small box and this will take you to see exactly which criteria has been included. Back on the main page is a filter view button – if you click on this you will be able to select just your child’s year group or subject area.